Updated May 20 at 9 a.m. Eastern. WASHINGTON — More than $560 million in budget cuts will be spread across many NASA programs, from science to human spaceflight, when the White House releases its complete fiscal year 2018 budget proposal next week. The White House is expected to release its full 2018 budget proposal May 23, more than two months after issuing a "budget blueprint" that provided highlights of the proposal. Individual agencies, including NASA, will also provide greater details about the budget for the fiscal year that begins Oct. 1. However, on May 18 the policy think tank Third Wave published a spreadsheet that it said it received from an anonymous source, dated May 8, that provided details about the spending proposal. That includes requested funding for NASA down to the account level, although not in greater detail. The overall funding for NASA included in the spreadsheet is $19.092 billion, essentially identical to the $19.1 billion listed in the budget blueprint released in March. The amount for aeronautics, $624 million, also matches the amount listed in that blueprint. The spreadsheet suggests that most major NASA accounts will see cuts compared to what Congress provided in the fiscal year 2017 omnibus spending bill enacted earlier this month, which gave NASA $19.653 billion overall. Science would receive a little more than $5.71 billion, $53 million less than what it received in 2017. The document doesn't specify how that science funding will be allocated among NASA's four science divisions and the James Webb Space Telescope. However, the budget blueprint said that the administration would request $1.8 billion for Earth science, $121 million less than appropriated for 2017, and $1.9 billion for planetary science, $54 million more than the record funding level that division received in 2017. Exploration, which includes the Space Launch System, Orion and related ground systems, as well as other research and development, would get $3.934 billion in the request, $390 million less than in 2017. The budget blueprint didn't specify an overall spending level for Exploration, but did state SLS, Orion and ground systems would get $3.7 billion, more than $200 million less than in 2017. Space Operations, which funds operations of the International Space Station, commercial cargo and crew transportation, and other spaceflight support activities, would receive $4.74 billion in the request, $210 million less than the request. Other NASA accounts getting cuts compared to the omnibus include aeronautics, which received $660 million in 2017, and space technology, which would get a $7.9 million cut to $678.6 million in the 2018 request. Some accounts that fund NASA support activities, by contrast, would get more money in the 2018 request. Safety, Security, and Mission Services, an agency support account, would see its budget increase in 2018 by more than $60 million to $2.83 billion. Construction would get a $135 million increase to $496 million, while the Office of Inspector General would get a $1.4 million increase to $39.3 million. The leaked spreadsheet included $37.3 million for education, even though the budget blueprint stated that the administration would seek to close NASA's Office of Education. The spreadsheet did not disclose how that money would be spent, but the amount could be allocated for science education activities that NASA bookkeeps in its science directorate. When formally released, the full budget proposal will mark only the beginning of a long process where Congress drafts appropriations bills that may end up bearing only a faint resemblance to the original proposal. Key appropriators have already suggested they will use the budget proposal as a guide, but will not be bound by it. "The budget is important. It's a good starting point," said Rep. John Culberson (R-Texas), chairman of the House appropriations subcommittee that funds NASA, in a May 3 presentation to the Space Studies Board of the National Academies here. "If the funding is recommended in the president's budget, it makes my job a lot easier." Culberson, though, said he would seek to increase funding for NASA, including the agency's planetary science division. Despite the record funding for planetary science in the proposal, it specifically excludes a proposed Europa lander, a project that is of particular interest to Culberson. "The appropriations bill is it," he said. "What matters is the appropriations bill." 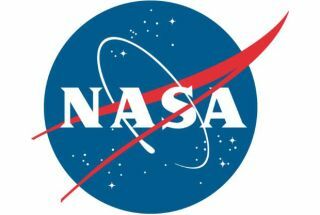 Sen. Bill Nelson (D-Fla.), ranking member of the Senate Commerce Committee, also called for "robust" funding for NASA in fiscal year 2018 in a May 19 letter to President Donald Trump. Nelson put a specific emphasis on NASA's exploration programs as well as commercial cargo and crew. "In particular, we need increased funding for work at Kennedy Space Center to prepare for the launch of Orion and the Space Launch System 'monster rocket' as our triumphant return to deep space nears," Nelson wrote. "We also need to sustain funding for the Commercial Crew Program that will end our reliance on Russia for access to space." "Robust funding for NASA in the fiscal year 2018 budget request is critical, especially as we near the first launches of SLS and Commercial Crew," he added.